Did you know? 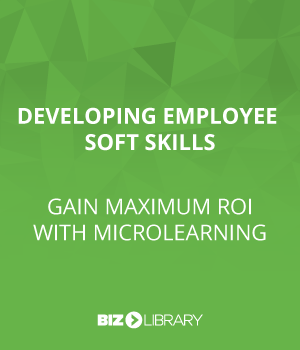 75% of long-term job success depends on a person’s ability to develop soft skills. Soft skills can be hard to master, but they carry a big impact when it comes to your career. They can be learned and improved upon, just like technical skills. To learn soft skills, an employee must watch, observe, and then model the behaviors of others. Video content facilitates observation in ways no other type of learning method can! I agree to receive emails about BizLibrary’s relevant content, products, and services, and I understand that I can modify or cancel my subscription at any time.